Kerouac’s Book of Blues is comprised of poems written in his style of “blues” in various locations, from San Francisco to North Carolina to Florida. The poems, or “choruses,” self-described as “non stop ad libbing,” were framed by the constraints of the small breast pocket notebook in which they were written and meant to be akin to the bars of jazz music. Despite their spontaneous and perhaps even chaotic nature, they seem to represent the rare, quiet moments in his life, the breaks between racing cross-country with Neal Cassidy. Naturally, some of the landscape and life situations leak into these poems. In "31st Chorus," Kerouac writes “O Gary Snyder/we work in many ways.../But O Gary Snyder/where’d you go,/What I meant was/there you go.” While this doesn’t bring in Florida directly, it’s an interesting poem when we know that Kerouac was writing this while also working on The Dharma Bums, which was based on his adventures with Gary Snyder. It’s possible that this poem was written as a precursor, the initial manifestation of his thoughts on the time he spent out west with Snyder, and after finishing it dove head first into The Dharma Bums. Or perhaps it was composed while taking a break during the writing of the novel, or even after reading a letter from Snyder, with whom he kept up a correspondence. This mode of poetry allowed Kerouac to write out his thought process almost seamlessly. What triggered the thought often remains mysterious, as it is here. We know that Snyder was on his mind, but what came first, the poem or the novel? His musings often turned him towards God, as most of his writing did at some point or another,and these blues are no exception. Though a tremendous observer, his eyes always wondered skyward eventually and God was seemingly always there waiting for him. These poems that transcend into the heavenly are numerous and less interesting. It’s when Kerouac keeps his gaze Earth-bound that we get real insight into his world at the time, and the liveliness of his surroundings despite it being a quiet perod in his life. And Kerouac follows that up in "8th Chorus," reassuring us that “thats awright, space’ll carry/usmaybe like little eggs.” Given the timeframe of his stay in Orlando, we get a little more insight into what’s happening in the world at large with these lines: It’s very likely that he was viewing one of the various rocket launches (many of which failed) lifting off out of Cape Canaveral, only some fifty-odd miles away to the east. At the time, the U.S. Space Program was desperately trying to catch up to the Russians Sputnik. It isn’t hard to imagine Kerouac sitting on the porch with his small notebook, seeing the rockets streak across the eastern sky, or hearing about them on the radio and stepping out to marvel, lighting up a cigarette, one of his many cats curling its tail around his leg in affection. In "19th Chorus" we get a little snippet of Florida with “coral snakes and alligators/on the sidewalk” which becomes more ominous in "21st Chorus" when we he writes “that cat’s in paradise.../But O, Lord above,/have pity on my/missing kitty.” The literal meaning here is clear: one of his cats has gone missing and there is more than one suspect. Kerouac continually turns a suspicious eye towards the Florida wildlife, and these two culprits return later in the sequence along with a few others in "44th Chorus" when he describes a man bitten by a coral snake hiding under his bed as he gets ready for work (coral snakes are notoriously poisonous), a little boy eaten by an alligator in his yard, an old woman killed by fire ants in her sleep, and his own mother witnessing a huge lizard with “big red eyes” on the garbage pail. 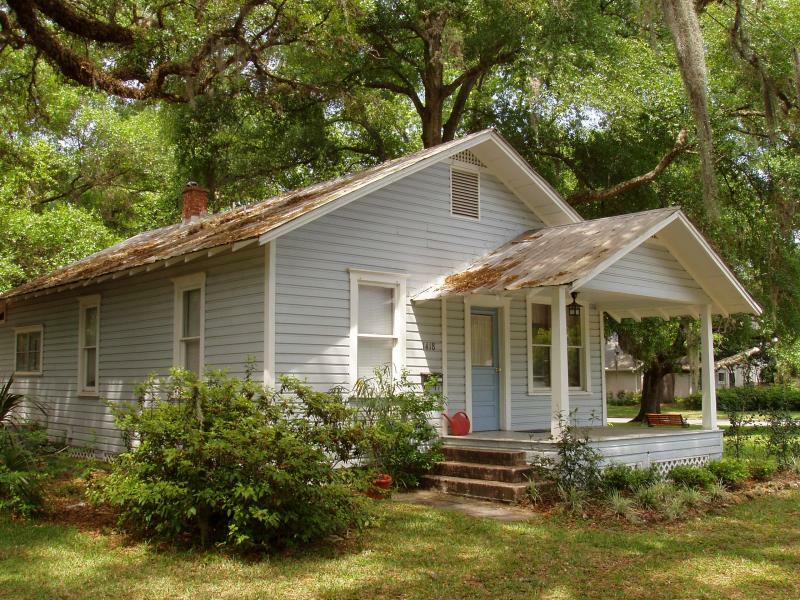 The circa 1926 house at 1418 Clouser Avenue in the College Park section of Orlando, where Jack Kerouac and his mother lived in rented rooms at the back of the cottage in 1957-58. Reporter Bob Kealing's 1997 article in the Orlando Sentinel, reporting on his investigation and discovery of the house in run-down condition, led to formation of The Kerouac Project. The Florida historical marker was installed in 2014, and the house is on the National Registry of Historic Places. 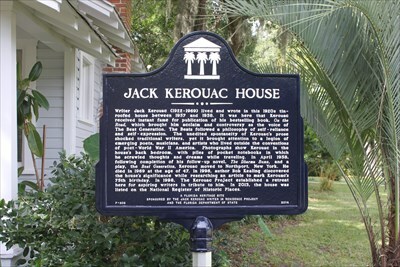 T﻿he Kerouac Project﻿, a non-profit, has restored the house, and now supports writers through residencies. Learn more about their programs to support writing in Central Florida. He shouldn’t have come back. He should have taken his own advice. Ariel Francisco is a first generation American poet of Dominican and Guatemalan descent. He is currently completing his MFA at Florida International University where he is the editor-in-chief of Gulf Stream Literary Magazine and also the winner of an Academy of American Poets Prize. His poems have appeared or are forthcoming in Gulf Coast, Tupelo Quarterly, Washington Square, and elsewhere, and his chapbook Before Snowfall, After Rain is forthcoming from Glass Poetry Press. He lives in Miami, FL.